Here is something to think about: why does God seek to find a "little person" when He is looking for leadership? He did it with Moses. He did it with Samuel and David. He chose Saul when he was small in his own sight. 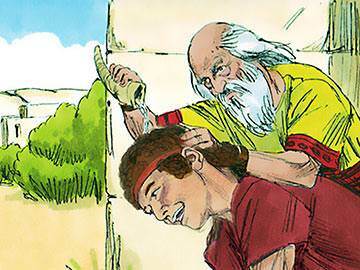 But when Saul became big in his own sight God rejected him. In the New Testament there was a Saul, "Big Person", who became Paul, "Little Person", and God used him as a great missionary. Is it not because God loves little, humble people? It runs through Scripture. 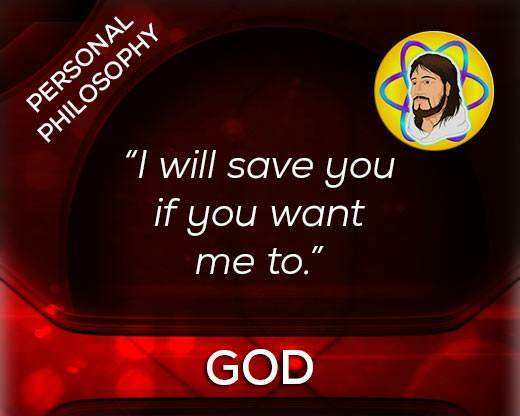 Most of the time we can live like God doesn't exist, but He does. In the story of David and Goliath, God is very much alive. He is very interested in the events taking place, and you can be sure He is involved. He is the first Person we must consider in this story. We could discuss God's character as I did in "The Boy & the Cabin" (series 1), but instead I would like to touch on one aspect of the nature of God which I have been thinking about for a long time: He is not impressed with man's greatness. Most of the time when He looks at what man thinks is great it is like someone with a pea shooter trying to impress a man who owns the atomic bomb. I think God smiles a lot. Maybe we can lift two hundred pounds. Do you think that God thinks this is amazing? I wonder what He can lift? He likes to see that we are capable, I'm sure, but when it goes to our heads and we become proud, He is not pleased. In this story of David and Goliath, there are two big people and two little people. This has nothing to do with their physical size, but rather everything to do with the way they think. And because David and Jonathan had humble attitudes God made them far more successful than Goliath and Saul, the "big guys" of the day. 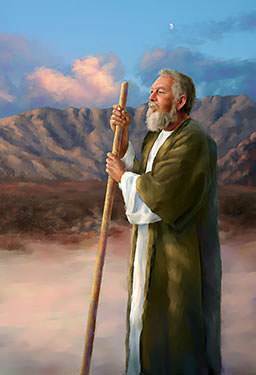 Way back in the early stories of the Bible, you will recall a character named Jacob. His name meant "supplanter" or "grabber" and for much of his life he ruthlessly schemed, manipulated and deceived his way to the top of the heap. Jacob's theme song could have been "I Did it My Way." 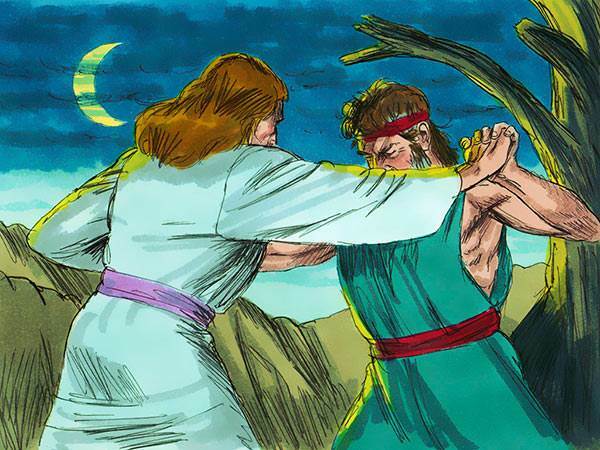 The crucial turning point of his life came one night when God wrestled with him and wouldn't let him go until Jacob acknowledged who he was, what his name meant, what kind of person he was deep down: a tricky deceiver (see Genesis 32:24-29—click link). It was a humbling confession. 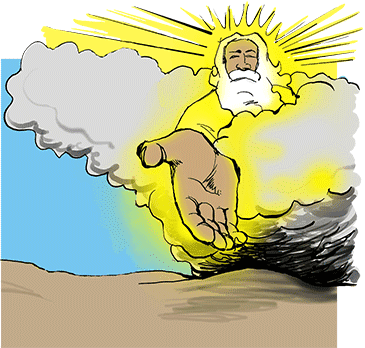 But only then was God able to give him a new identity, expressed in a brand new name: Israel ("Prince with God"). And then Jacob experienced the blessings of God for which he had been striving all his life. This truth can also be seen in the life of Moses. He spent 40 years becoming somebody (in the Palace of Egypt), 40 years becoming nobody (in the desert looking after sheep), and 40 years finding out what God could do through a nobody (under God's direction). Looking after sheep must have been a humbling experience after growing up in Pharaoh's palace as a prince of Egypt! But when he became smaller in his own eyes God was then able to use him in a marvellous way as the deliverer and leader of the people of Israel. Take another example. 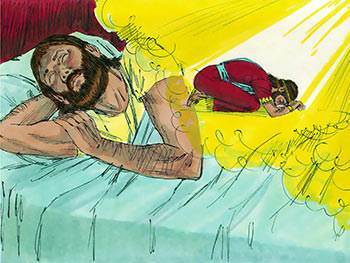 Solomon was the privileged son of the great King David, chosen to be the next king of Israel. He could easily have felt that he was well able to lead his nation with his own abilities. But he didn't. It was when he humbly came to God declaring that he was but a little child, not knowing how to govern the people, that God gave him honour, riches and wisdom that became legendary. 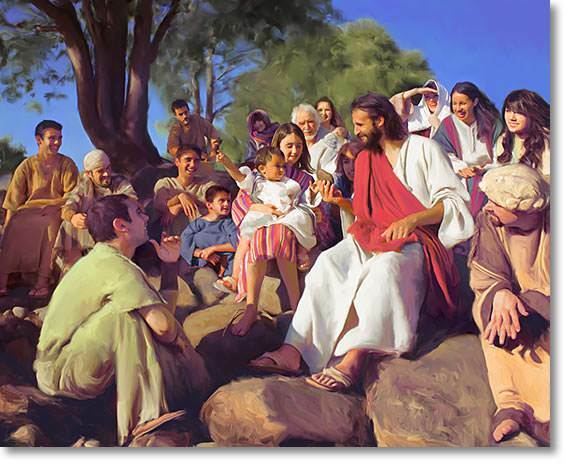 In New Testament times, when Jesus was asked who was the greatest in the Kingdom of heaven, He chose a little child and set him in the midst of them and declared that only the humble ones would see the Kingdom. What a lesson this is! 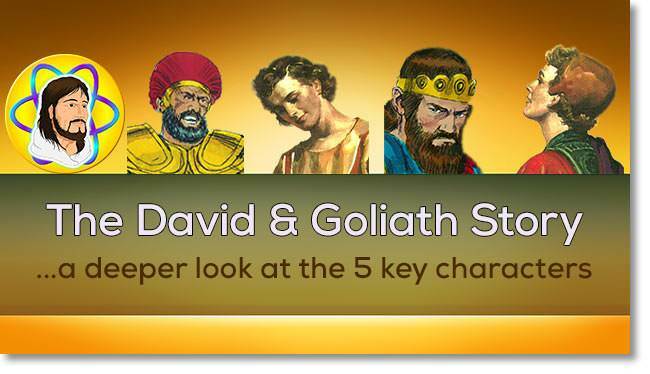 Perhaps the fact that Goliath and Saul were physically big helped them think that they were self-sufficient. This often happens when we receive fame, a lot of money, win our game, or are successful in some way. It goes to our head and we become filled with self importance. God says, "Pride goes before destruction, and a haughty spirit before a fall" (Proverbs 16:18). That certainly describes the sad stories of Goliath and King Saul. In contrast, David was a person after God's own heart, or a person who pleased God. 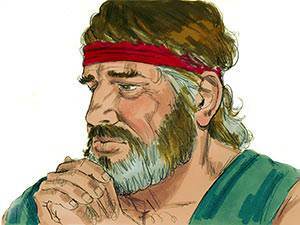 David, because he humbled himself before the Lord, had his prayers answered and saw God bless so that things which happened in his life were far beyond anything that he could have asked or thought. "Always take the lowest place, and the highest will be given to you, for high structures require a solid foundation. The greatest, in the judgment of God, are the least in their own opinion; the more worthy they are, the more humility will be seen in them." 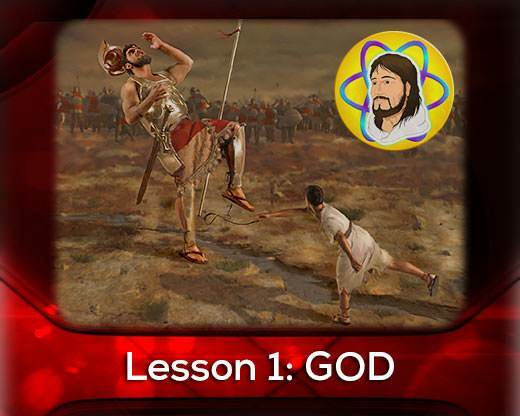 If you want God's blessing in your life, then consider the characters presented in these lessons. Read the Scriptures to gain more information, particularly 1 and 2 Samuel, the book of Psalms and Proverbs. In my life I have found that many principles can be learned by going through tough experiences ourselves or from watching others and learning from them. In the next four lessons we will take a little journey together through the lives of four Old Testament characters whose stories have much to teach us. Now may God bless you abundantly and cause you to be one who pleases God.